For purchasing and managing existing memberships and classes, access the Elite Mind/Body site. Want to be notified about events and promotions at Elite Sports Performance? Visit Elite Sports Performance on Facebook! On the go? 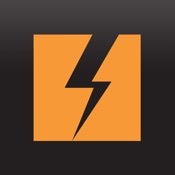 Download the Elite Sports Performance app for your iOS device. View schedules, sign-up for classes, view ongoing promotions, as well as view the studio’s location and contact information.